If you want to know how to Mexicanise favourite Australian meals, you need to think beyond wearing a sombrero while you’re cooking. You could sip margaritas and eat corn chips, while wearing a sombrero while cooking, but this still isn’t how to Mexicanise favourite Australian meals. Think beans, salsa, spices and chili and you’re getting closer. Alright, we’ll tell you! Here’s how to Mexicanise favourite Australian meals. Many Australians don’t get through a whole weekend in summer without cooking or attending a BBQ. The great news is that it’s easy to Mexicanise this type of food. A delicious marinade is a good starting point. Try coriander, jalapenos, garlic, lime and orange juice rubbed into chicken pieces and then barbecued. For an authentic Mexican flavor add achiote paste. Serve it with grilled corn and a glass of sangria. If you must throw a shrimp on the barbie, squeeze over some lime and then wrap them in a tortilla with avocado salsa. Make your own patties with the addition of paprika, cumin and oregano. 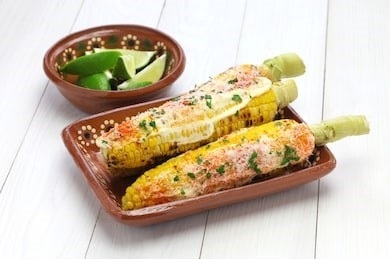 Serve it on a bun with cheese, guacamole and a spicy tomato, onion, coriander and chilli salsa called ‘pico de gallo’. Wash it down with your favourite imported Mexican brew. This one is so good you’ll never eat your eggs plain again. Pan fry some red onion, chorizo, black beans and tomato. Add paprika, garlic and seasoning. Make a little space in the mixture and break in your eggs. Finish under the grill until the eggs are cooked to your liking and then serve on toast sprinkled with coriander. The flavours and colours of traditional Mexican cuisine add a spicy, fresh element and are easily adapted to many dishes. Now that you know how to Mexicanise favourite Australian meals, invite your friends to share your new-found culinary skills and yes, now you can wear the sombrero and drink margaritas. For all your Mexican grocery and liquor needs, head over to the Aztec Mexican Products and Liquor online store.